Extraordinary Desserts is the place to impress your date for an indulgent Valentine’s Day dessert. I recently had the chance to eat at their Little Italy location in San Diego, and was in awe when I walked through the doors. 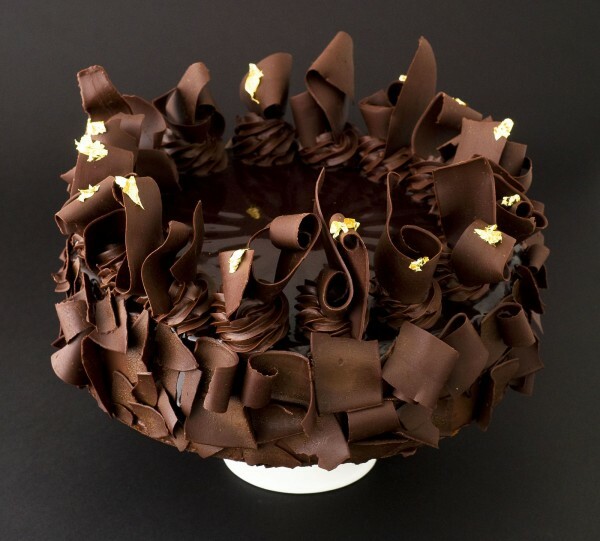 Their vast selection of decadent desserts and pastries is there to greet you, and the decision making begins. 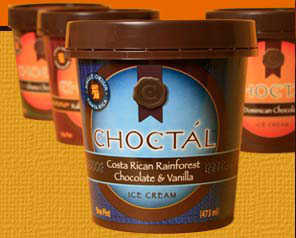 Of course, you can sit down and order from the menu, but it’s best to decide with your eyes at Extraordinary Desserts. 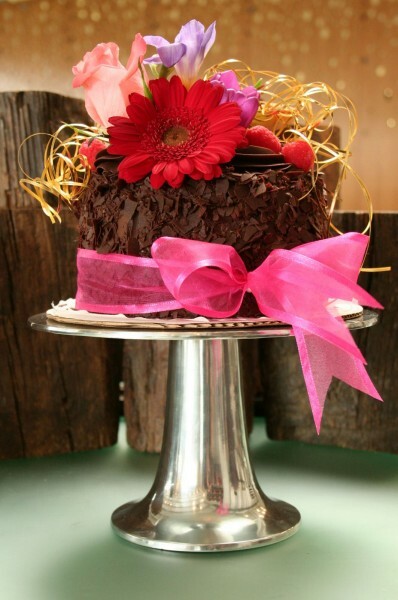 While there, we enjoyed a slice of the Dame Chocolat and La Bete Noir which came artfully decorated with fresh flowers. La Bete Noir was my favorite because it combined decadent dark chocolate with vanilla hinted throughout. I truly savored each bite, this is not the type of dessert you can rush. Karen Krasne opened the first Extraordinary Desserts (the Balboa Park location) in 1988, and has built an amazing reputation in lively city of San Diego ever since. Karen uses organic ingredients whenever possible and each dessert is embellished with locally grown flowers to add an extra elegant touch. Remember when I told you that I not only love the flavor of my desserts, but presentation as well…Extraordinary Desserts gets high marks for both! 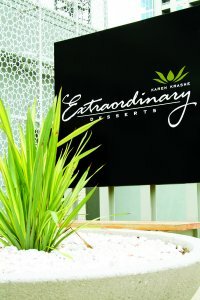 Extraordinary Desserts was also recently featured on The Food Network’s The Best Thing I Ever Ate. If you are in San Diego, you must take your Valentine to Extraordinary Desserts. They are offering some smashing dessert specials including the Fresh Berry Vanilla Crème Brulée Tart – A buttery white chocolate tart shell layered with vanilla bean crème brulée and fresh berries, and finished with whipped cream.Don’t forget the Valentine’s Day classic, Chocolate Covered Strawberries, available in store as a single or for pre-order by the half-dozen to enjoy at home. Also, if you are planning an entire day of romance, Extraordinary Desserts is offering a Sweetheart Sunday Brunch-reservations recommended! Dessert is already the perfect Valentine’s Day indulgence, and Extraordinary Desserts offers the perfect selection to impress your Valentine! Delicious for so many reasons, can’t wait to visit again!